Sure, there are 5 miles of trail definitely worth exploring at Turkey Creek, but really it's the awesome swimming hole that makes this place worth visiting. 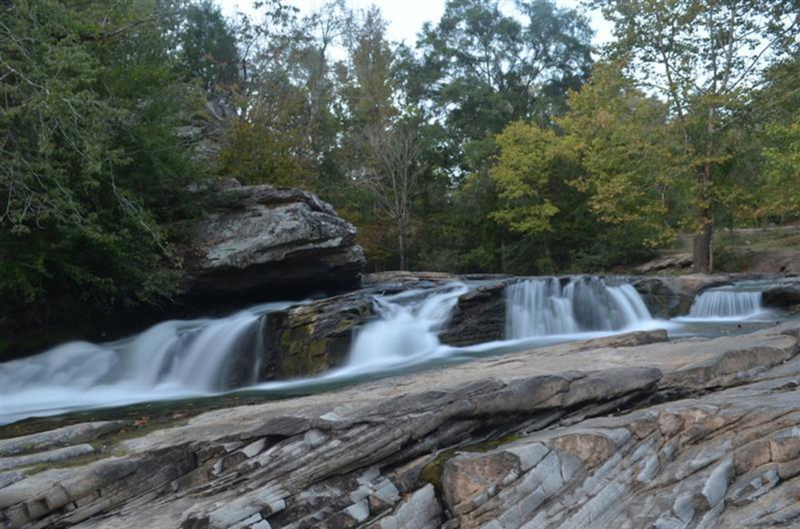 Reward yourself after your run or hike with a refreshing dip in one of Alabama's top swimming holes. 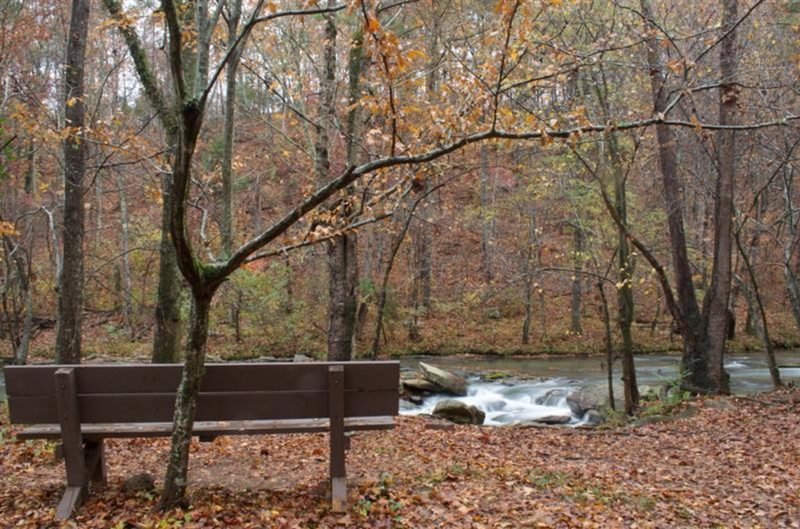 Located in Pinson, Alabama, only 15 miles north of Birmingham, Forever Wild's Turkey Creek Nature Preserve is home to some of the most unique beauty found in the Southeast. 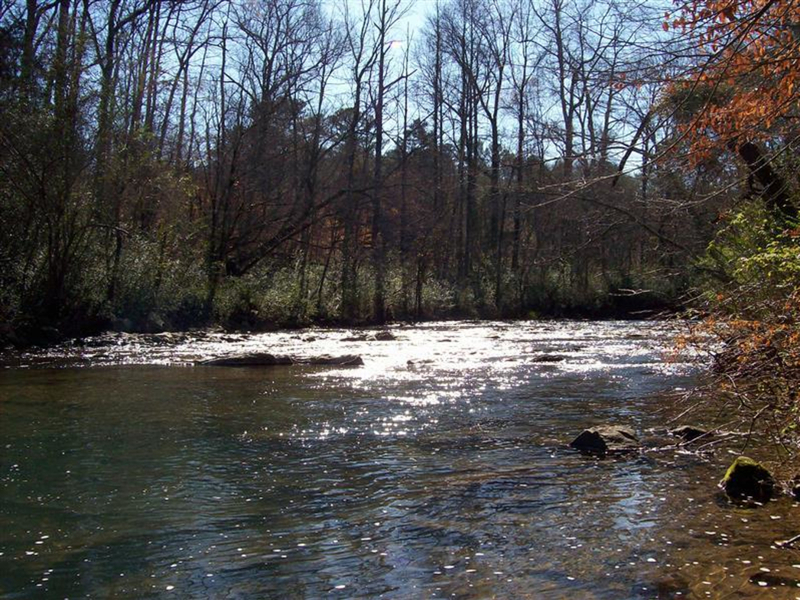 Originally settled in the early 1800's by one of the first industrialists in Alabama, Turkey Creek’s crystal clear waters now provide a safe haven for three endangered species of fish. 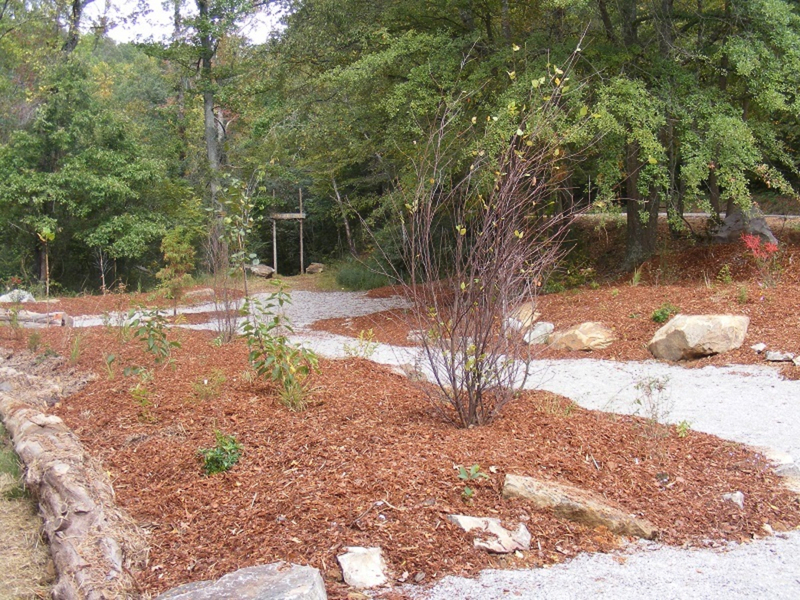 The Preserve’s 5-mile trail system (with as much as 12 miles planned for the future), which was recently designated as a National Recreational Trail, provides visitors quiet creekside trails as well as nice overlooks of the “Falls”. 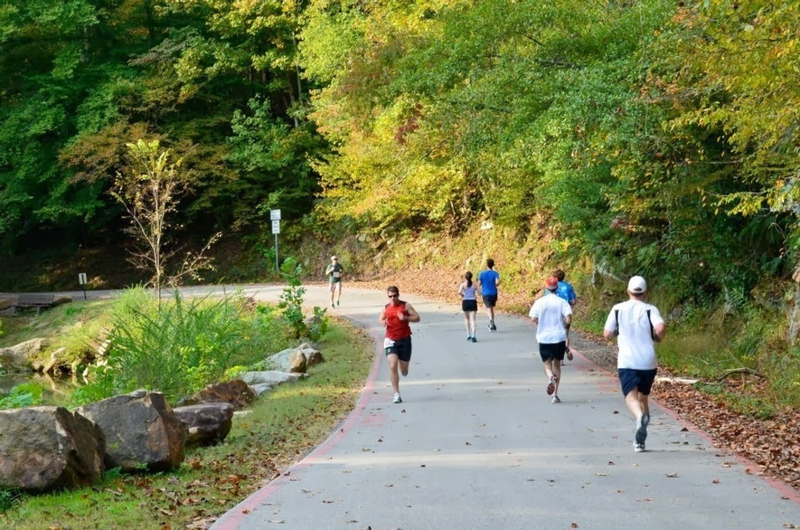 Though these trails are quite good for hiking and trail running, a visit to Turkey Creek is really all about how you cool off after. 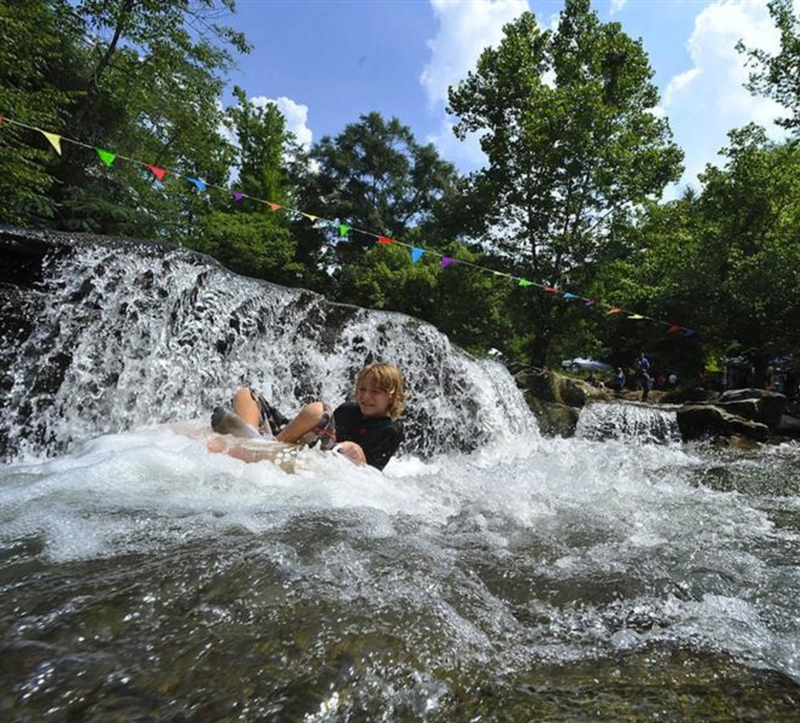 Rated as one of Alabama’s top swimming holes, Turkey Creek offers one of the state’s best places to beat the heat. When you drop the shoes after leaving the trail, take a dip in the creek via a moss covered sandstone slip ‘n slide. Let the crystal clear water push you down as it plunges over a series of drops that have a carved out body-shaped channel, which guides you safely through the cascade and into the pool below. 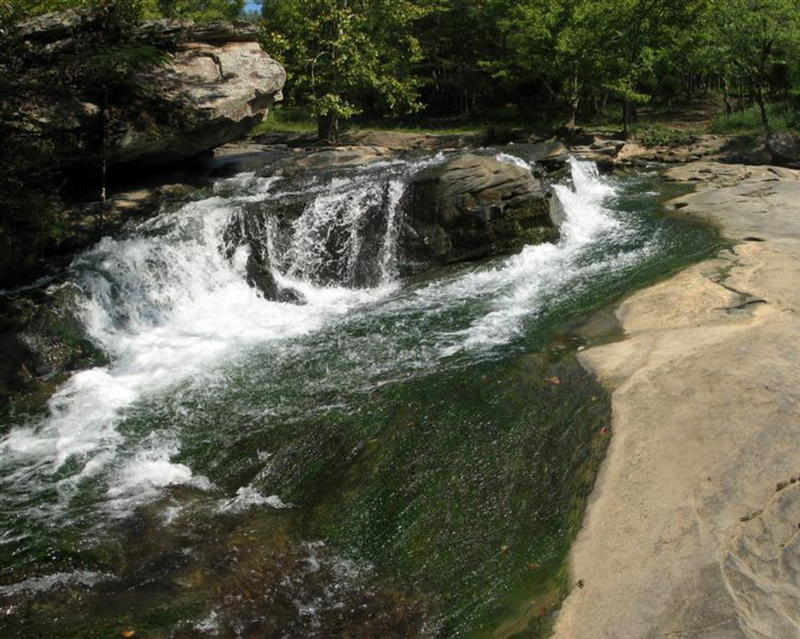 Even in the heat of a scorching Alabama summer, the waters in Turkey Creek are cool and refreshing. So much so, in fact, that some of the local cycling clubs go as far as to plan their Saturday morning rides with a swim at the falls as the ride’s mid-point. 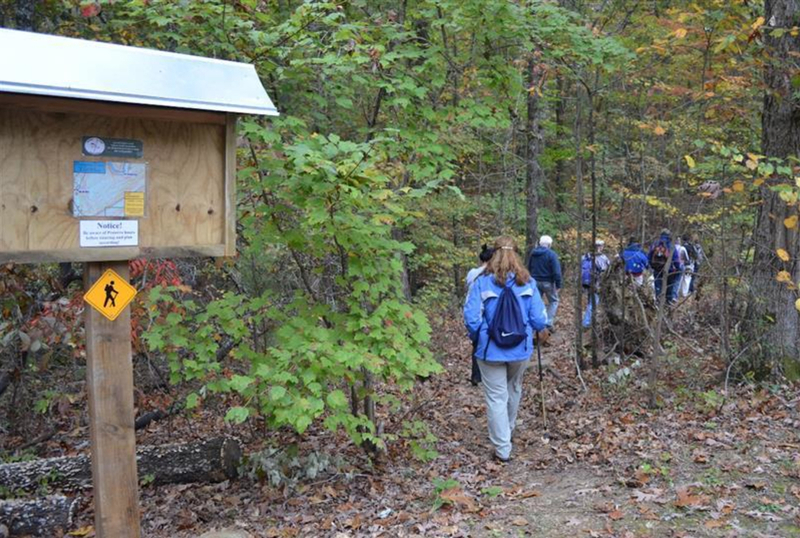 When you visit, make the most of the limited trails in the preserve, and then enjoy the waterfall. 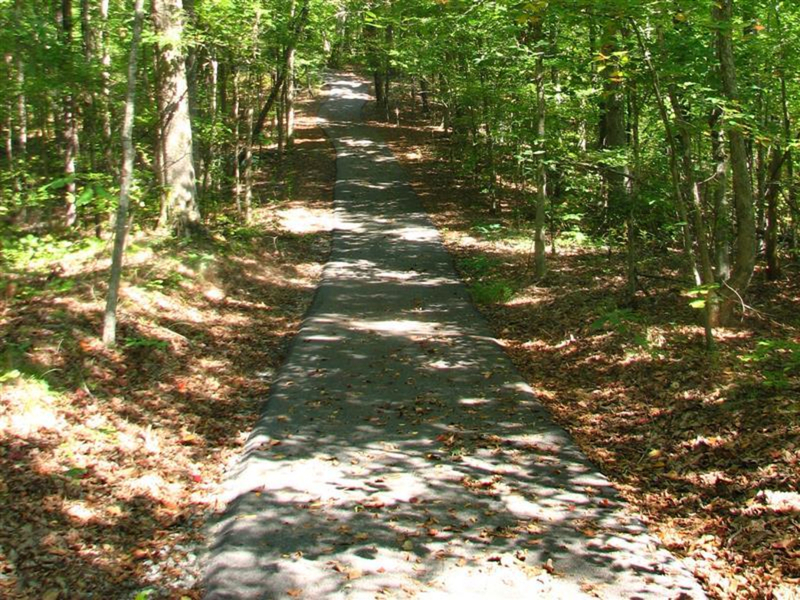 Anyone from walkers to cyclists will enjoy these trails. They are easy enough for whole families but have challenging areas to keep the more experienced hikers from getting bored. To allow the pedestrians a relaxing time before the cyclists show up, the hours of 7 a.m. to 9 a.m. on Friday and Saturday mornings are reserved for foot-traffic only, so if you’d like a hike free two-wheeled visitors, come during those hours. Bring the dogs and keep them on a leash. 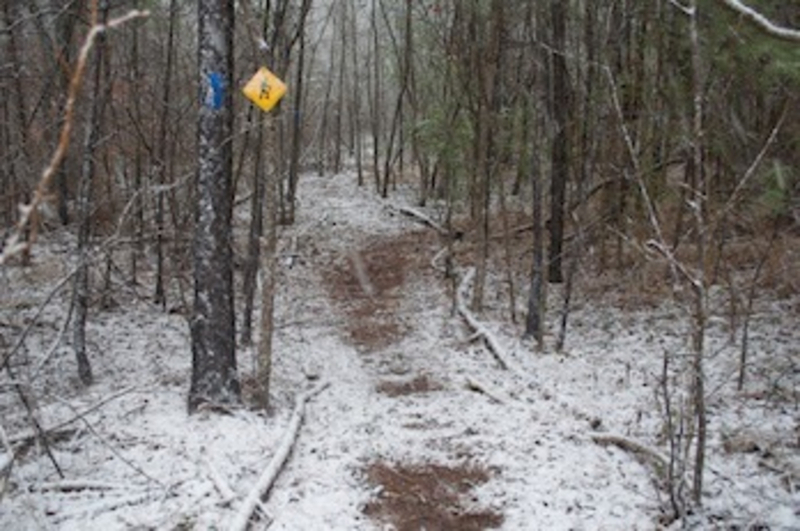 Canines will enjoy these trails as much as you. 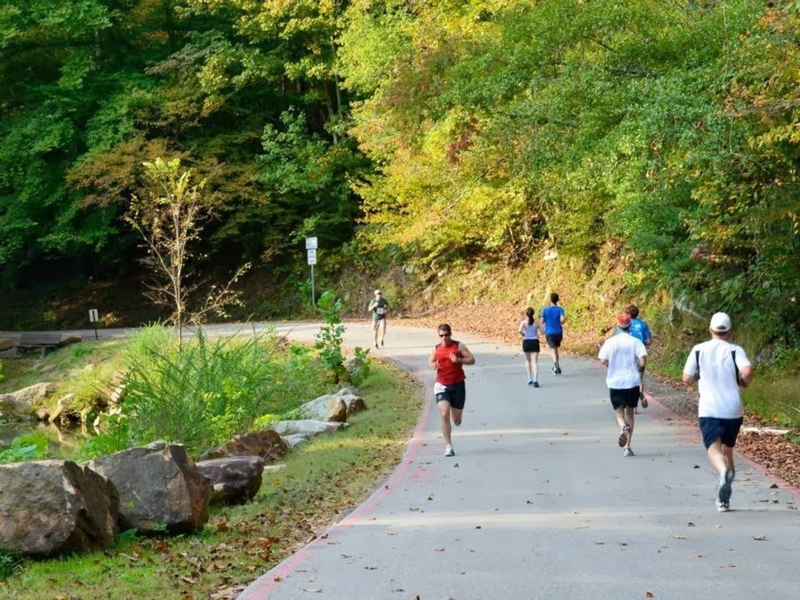 The preserve hours change depending on the season, but generally is open Wednesdays, Thursdays and Sundays from 8 a.m. to 5:30 p.m. and Fridays and Saturdays from 7 a.m. to 5:30 p.m. They are closed on Mondays and Tuesdays. We suggest bringing an extra pair of socks to use on the slippery rocks; trying to walk through the creek in bare feet is a disaster waiting to happen. Trust us, we've seen it happen.